Integrity: Integrity is the foundation of agile leadership. Actions are driven by values and principles, which make leaders reliable and trustworthy. They have developed a depth of self-awareness, character, and purpose that naturally inspires those around them.Integrity is the most important leadership attribute, but it’s often overlooked or considered to be something that leaders simply have or don’t have. But we believe that any leader can develop integrity. The combination of self-awareness and accountability accelerates the development of leaders so their mindsets and behaviors are governed by principles of integrity. Innovation: Agile leaders have an innovative approach. They exhibit a natural curiosity about their environments, introducing and encouraging new ideas and creating a learning culture.The agile leader’s role is less command and control and more facilitative. Think of an agile leader as a curator or a gardener who invests in team growth. With an unrelenting commitment to serving customers, they are willing to challenge the status quo and drive change. Urgency: Agile leaders embody a sense of urgency. They bring focus to the organization by establishing challenging goals and maintaining a steady cadence. They make decisions quickly with imperfect data to keep the organization moving forward.Agile leaders decentralize decision making by abandoning hierarchy in favor of self-organizing, cross-functional teams. Companies who follow the discipline of talent optimization know that selecting an organizational structure that supports the business strategy—and then updating that structure as needed—is key to success. Engagement: Agile Leaders create engagement across the organization. They are inclusive across boundaries, generations, and geographies. They span up, out, across, and down complex networks of stakeholders to encourage cross-functional collaboration to generate optimal performance.Another key to talent optimization is the idea of developing leaders at every level. Agile leaders pull multiple levers to build engagement in individual contributors—and they understand that engagement begets productivity. Direction: Agile leaders create direction for the organization and align people and resources to fulfill it. They focus on removing impediments and empowering teams to self-organize and take charge of their work. 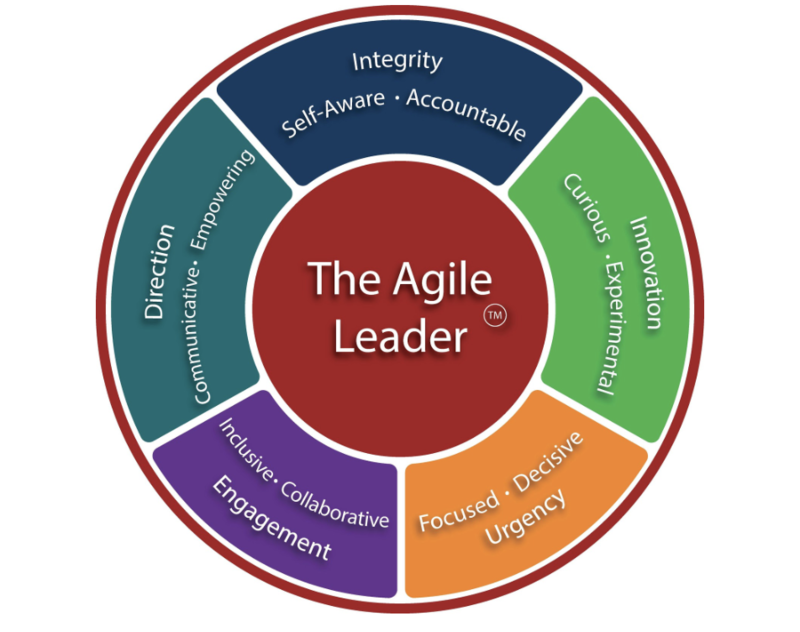 They are transparent in their communication and encourage a free flow of information to rapidly adapt to change.Agile leaders create an agile culture based on shared organizational values that align your business and people strategies. You want a high-performing and engaged workforce? An organization that is aligned to your purpose, vision, and strategies? Be an agile leader. MCG Partners is a leadership and talent optimization firm– aligning your business and people strategy for maximum results. MCG Partners a woman-owned consultancy and is also a Predictive Index® (PI®) certified partner.